Breakfast, 08:30 your guide will welcome you at the hotel for the discovery Ho Chi Minh City, economic capital of Vietnam, formerly called Saigon and renamed Ho Chi Minh in 1976. Visit the old colonial districts, the Central Post Office, the exterior of the Reunification Palace and the Notre Dame Cathedral (outside as Notre Dame Cathedral is undergoing renovation). Then the Saigon Opera House, Catinat Street, Ben Thanh Market. Lunch. Discover Cholon's Chinatown, including the Thien Hau pagoda, Oriental Medicine Street. Dinner cruise on the Saigon River. Overnight at hotel in Ho Chi Minh. Breakfast, departure for My Tho, a vast network of thousands of channels characterizes life in the Mekong Delta which covers 40 000 Km². Visit a Caodaist Temple. 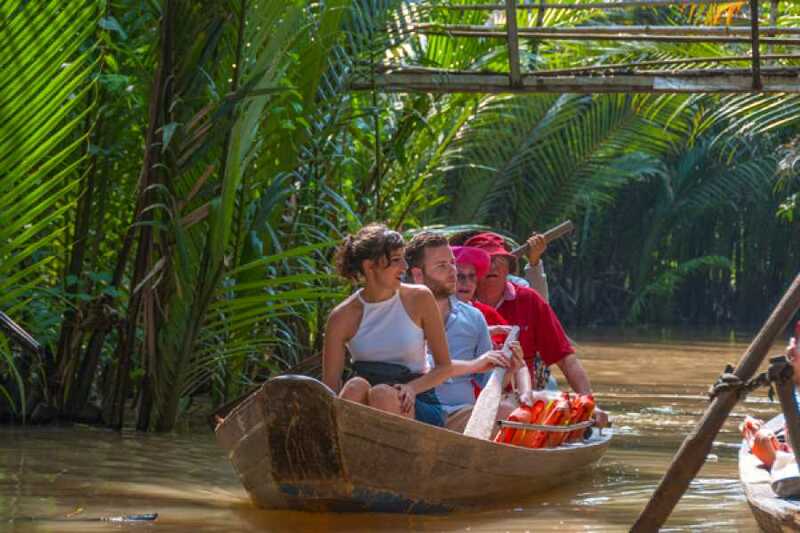 Then boarding for a cruise in the Mekong Delta. Arrival on an island, tasting seasonal fruits that are harvested in the orchards. Visiting a candy factory with coconut, horse carriage riding in the village. Specialty lunch of the region: Elephant Ear fish. Road to Can Tho, the largest economic city of the Delta. Dinner with tasting of a specialty of the Mekong Delta.